Air bubbles as a man surfaces in a swimming pool. Bubbles form, and coalesce, into globular shapes, because those shapes are at a lower energy state. For the physics and chemistry behind it, see nucleation. Bubbles are visible because they have a different refractive index (RI) than the surrounding substance. For example, the RI of air is approximately 1.0003 and the RI of water is approximately 1.333. Snell's Law describes how electromagnetic waves change direction at the interface between two mediums with different IR; thus bubbles can be identified from the accompanying refraction and internal reflection even though both the immersed and immersing mediums are transparent. The above explanation only holds for bubbles of one medium submerged in another medium (e.g. bubbles of gas in a soft drink); the volume of a membrane bubble (e.g. soap bubble) will not distort light very much, and one can only see a membrane bubble due to thin-film diffraction and reflection. Nucleation can be intentionally induced, for example to create a bubblegram in a solid. In medical ultrasound imaging, small encapsulated bubbles called contrast agent are used to enhance the contrast. In thermal inkjet printing, vapor bubbles are used as actuators. They are occasionally used in other microfluidics applications as actuators. The violent collapse of bubbles (cavitation) near solid surfaces and the resulting impinging jet constitute the mechanism used in ultrasonic cleaning. The same effect, but on a larger scale, is used in focused energy weapons such as the bazooka and the torpedo. Pistol shrimp also use a collapsing cavitation bubble as a weapon. The same effect is used to treat kidney stones in a lithotripter. Marine mammals such as dolphins and whales use bubbles for entertainment or as hunting tools. 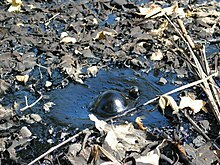 Aerators cause dissolution of gas in the liquid by injecting bubbles. Chemical and metallurgic engineers rely on bubbles for operations such as distillation, absorption, flotation and spray drying. The complex processes involved often require consideration for mass and heat transfer, and are modelled using fluid dynamics. Injury by bubble formation and growth in body tissues is the mechanism of decompression sickness, which occurs when supersaturated dissolved inert gases leave solution as bubbles during decompression. The damage can be due to mechanical deformation of tissues due to bubble growth in situ, or by blocking blood vessels where the bubble has lodged. Arterial gas embolism can occur when a gas bubble is introduced to the circulatory system and it lodges in a blood vessel which is too small for it to pass through under the available pressure difference. This can occur as a result of decompression after hyperbaric exposure, a lung overexpansion injury, during intravenous fluid administration, or during surgery. Wikimedia Commons has media related to Bubbles. ^ Subramanian, R. Shankar; Balasubramaniam, R. (2001-04-09). The Motion of Bubbles and Drops in Reduced Gravity. Cambridge University Press. ISBN 9780521496056. ^ Weber; et al. (1978). Bubbles, Drops and Particles. New York: Dover Publications. ISBN 978-0-486-44580-9. ^ Roxanne Khamsi. "Star-nosed mole can sniff underwater, videos reveal". ^ Minnaert, Marcel, On musical air-bubbles and the sounds of running water, Phil. Mag. 16, 235-248 (1933). ^ a b Leighton, Timothy G., The Acoustic Bubble (Academic, London, 1994). ^ Chandran Suja, V.; Barakat, A. I. (2018-03-29). "A Mathematical Model for the Sounds Produced by Knuckle Cracking". Scientific Reports. 8 (1): 4600. Bibcode:2018NatSR...8.4600C. doi:10.1038/s41598-018-22664-4. ISSN 2045-2322. PMID 29599511.